CIT -i, Cochin vs. Abad Constructions (P.) Ltd.
R.V. Easwar, J. – Admit. 2. In the return filed for the assessment year 1992-93, the assessee adjusted the interest income of Rs.90,37,029/- against the pre-operative expenses relating to a project. While completing the assessment, assessing officer rejected the claim for adjustment and held that the interest was separately assessable under the head “income from other sources”. He placed reliance on the judgment of the Supreme Court in the case of Tuticorin Alkali Chemicals & Fertilizers Ltd. v. CIT  227 ITR 172/93 Taxman 502. The matter reached the Income Tax Appellate Tribunal (hereinafter referred as “Tribunal”) which by order dated 21.03.2006 restored the same to the file of the assessing officer for an opportunity of being heard on the question of applicability of the judgment. In the fresh assessment made on 15.11.2006, the assessing officer repeated his stand. The assessee’s appeal to the CIT (Appeals) was unsuccessful. 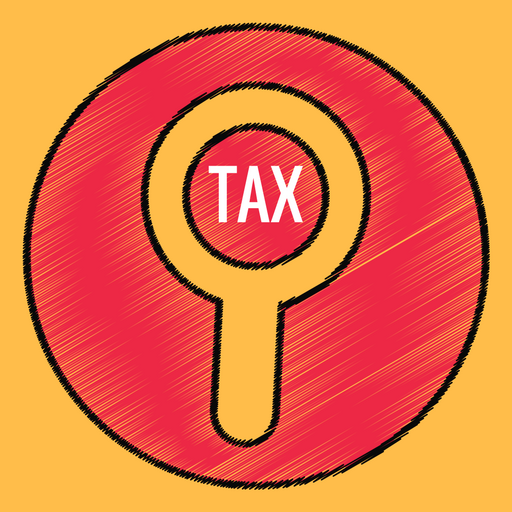 In the further appeal before the Tribunal, the Tribunal held in its impugned order that the case of the assessee is covered by the ruling of the Supreme Court in the case of CIT v. Bokaro Steel Ltd.  236 ITR 315/102 Taxman 94 and, therefore, the interest cannot be separately brought to tax, but has to be adjusted against the pre-operative expenses relating to the project. 3. Aggrieved by the aforesaid order of the Tribunal passed on 01.03.2013, the revenue is in appeal under Section 260A of the Income Tax Act, 1961. 4. We are of the view that the revenue has to succeed. The assessee was incorporated as a company on 27.03.1989 with the object of manufacturing human vaccines based on the technology developed by Pasteur Merieux Serums et Vaccines (PMSV), Lyon France. Under an agreement dated 02.12.1988 entered into between France and India, the assessee received substantial financial grant. The grant was to be utilised for payments to PMSV from whom the technology was to be obtained as also for obtaining equipment, technical services and training of the personnel. Company by the name Indian Petrochemicals Corporation Ltd. assumed the responsibility for project implementation and another company by the name Engineers India Ltd., a government of India undertaking, provided the consultancy services for speedy engineering package, construction, supervision and commission of all utilities. Funds were also brought in by the promoters to the tune of Rs.17,88,31,000/- as share capital; Indian Petrochemicals Corporation Ltd. one of the promoters also granted a loan of Rs.50 lakhs. All these funds were invested with banks under the “portfolio management scheme” under which the banks gave an assured earning guarantee. The banks in turn invested the monies in shares and securities. Any amounts over and above the assured guarantee earned from the shares and securities were to be retained by the banks, which were also to suffer the loss in case the returns fall below the assured guarantee. On these facts the Tribunal took the view that the funds which were invested by the assessee were not borrowed funds but they were funds provided by the promoters. On this footing, it was held that the promoter’s funds were inextricably linked with the instillation of the project and thus the case attracted the ratio of Bokaro Steel Ltd.’s case (supra). It was further held that the interest cannot be separately assessed under the residual head, but was to be adjusted against the capital work in progress. 6. Tuticorin Alkali Chemicals & Fertilizers Ltd.’s case(supra) also recognized that even during construction of the project and when the actual business was not commenced, a company can earn income from sources other than the business. In that case the funds were invested during the construction of the project, on which interest was earned and the Supreme Court held that such interest has to be brought to tax under the head “income from other sources”. Bokaro Steel Ltd.’s case(supra) was dealing with an entirely different set of facts. There, during the construction period the assessee received income under 5 different heads, all of them inextricably linked to the construction of the project. For instance, advances were given to the contractors to enable them to purchase plant and machinery which were to be used in the project. Interest was received on those advances. Some buildings belonging to the assessee were let out to the contractors for rent so that the labourers employed by the contractors can be housed there. The income under the 5 heads were found by the Court to be inextricably linked to the project under construction. On these facts it was held in Bokaro Steel Ltd.’s case(supra) that the interest income cannot be separately assessed under the residual head, but should be treated as capital receipt, to be reduced from the construction cost or the capital work in progress. 7. The facts of the present case are not on all fours with those in Bokaro Steel Ltd.’s case(supra). Herein the investment of the funds has nothing to do and was not inextricably linked with the construction of the project. It was an investment under the “portfolio management scheme” operated by banks under which an assured return was guaranteed by the banks. It was a conscious act of investment of funds by the assessee and if such investment results in income, the same must be brought to tax under the residual head, even if the company has not commenced its business, on the basis of Tuticorin Alkali Chemicals & Fertilizers Ltd.’s case(supra). The Tribunal erred in placing reliance upon the fact that the present case is not one where borrowed funds were used for parking them to earn interest and that the funds were those of the promoters. In the light of the observation of the Supreme Court in Tuticorin Alkali Chemicals & Fertilizers Ltd.’s case(supra) quoted above, whether the funds were borrowed or were those of the assessee itself would make no difference to the principle. In Bokaro Steel Ltd.’s case(supra), the earlier judgment in Tuticorin Alkali Chemicals & Fertilizers Ltd.’s case(supra) was referred to and it was observed that interest earned by investing in short term deposits is an independent source of income, which is not connected with the construction activities; it is only when the investment is inextricably linked with the process of setting-up the plant and machinery that the interest will go to reduce the cost of the assets without being taxed as income. In the present case there is no such finding by any of the authorities below, including the Tribunal. As already pointed out, the Tribunal placed undue emphasis on the source of the funds instead of focussing its attention to the utilisation of the fund – whether they were invested in activities which are inextricably linked with the construction of the project. In fact, the assessee in the present case had invested the funds under the PMSV operated by the banks for an assured return. That has nothing to do with the project and there is no inextricably link between the investment and the project. The interest income cannot, therefore, be permitted to be adjusted against the capital work in progress or the pre-operative expenses. Both the assessing officer and the CIT (Appeals) were right in bringing the interest to tax under the head “income from other sources”. 8. In view of the above discussion, the Court is of the opinion that the question of law has to be answered in favour of the revenue and against the assessee. The appeal is accordingly allowed. This entry was posted in Section 263, Section 80-IB and tagged 363 ITR, business income vs income from other sources, In favour of Revenue, Kerala High Court.